Many collectors of Art Deco costume jewelry are familiar with Diamonbar bracelets, but few people know much about the company that made these beauties. And with so much incorrect information on the Internet, I think the time has come to tell the true story of these treasured pieces and their makers. Diamonbar is the registered trademark of Wachenheimer Brothers, a costume jewelry manufacturer that was in business in Providence, Rhode Island, from 1905 to early 1934. The company was owned by three brothers: Jacob (born in 1876), Harry (1878), and Samuel (1880). Their parents, Ferdinand (a locksmith) and Carolina (a homemaker), were German-born immigrants who met and married after their arrival in the United States. They settled in Manhattan, where they had a daughter (Sadie, the eldest child) and three sons. Jacob, the eldest son, married the former Ray Kuhn in 1913. They lived in Manhattan but had no children. He died in 1943. Harry was the inventor in the family. He moved from his parents’ apartment in Manhattan to Providence in 1905 and married Cordelia (Cordie) Weinlander of San Francisco in 1920. Their daughter, Carolene, was born the following year. Harry and Cordelia continued to live in Providence, where he died in 1963. Samuel, who was the traveling salesman for the company, married Therese Friendly of Eugene, Oregon, in 1913. The couple had a son two years later. The family lived in Manhattan until 1926, when they moved to Providence to be in closer contact with the manufacturing side of the company. Of the three brothers, the most is known about the personal life of Samuel for two reasons. The first is that his son, Ferdinand Friendly Wachenheimer, later changed his name to Fred W. Friendly. He became an influential broadcast journalist who was perhaps best known for his collaboration with Edward R. Murrow and their role in Senator Joseph McCarthy’s fall from power in the 1950s. Because of Friendly’s fame, publications about him include information on his childhood and family. The second reason we know more details about Samuel is that he died suddenly in 1927, after contracting meningitis, at the age of 47. His obituary (presumably written by the family) was published in the June 8, 1927 issue of The Jewelers’ Circular and the June 1, 1927 issue of American Jeweler (two trade publications). Samuel’s obituary reveals details about the company that are probably not recorded elsewhere. He had worked in the jewelry trade since 1901. 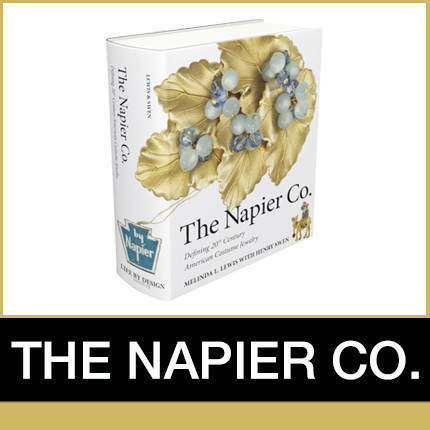 Before opening Wachenheimer Brothers in 1905, he and Harry had started H. Wachenheimer & Co. in 1903 with Charles F. Markham and John H. Stone, two men from Rhode Island with jewelry industry experience. That firm was dissolved in December 1904, when Harry and Samuel bought out their partners to start the family business with Jacob. The first Wachenheimer factory was located in downtown Providence and had 18 employees. Harry ran the operations, and Jacob and Samuel remained in New York with responsibility for sales. By 1908, the company employed about 30 workers and moved to the fourth floor of 36 Garnet Street, in the jewelry-manufacturing district of the city. Late in 1919, the brothers incorporated the firm along with John R. Rosenfeld, a Providence lawyer who had been associated with gemstone dealers earlier in his career. By the following year, Wachenheimer Brothers had grown to 76 employees, had opened a showroom at 303 Fifth Avenue in New York City, and had registered several patents and trademarks. One of their trademarks, Diamonbar, established a name that still stands for high-quality design and construction nearly a century later. Harry Wachenheimer received a patent in 1920 for a Bar Pin to be made from a single piece of metal (to reduce the cost of manufacture) and “with a solid gem-support” and “perforated” sides. The patent was applied for in 1916, and the pin was produced while the patent was pending, as evidenced by a series of advertisements that ran in Vogue, Harper’s Bazaar and other magazines from 1916 to 1918. Starting in the 1910s, flexibility and articulation were the key elements in bracelet design, in both the precious jewelry and costume jewelry arenas. Styles included narrow-linked bracelets composed of a single row of round or square-cut stones in one or more colors (known as line bracelets); pierced links of the same width, with or without stones; and bejewelled narrow links with wider filigree or jewelled centerpieces. The popularity of these pieces undoubtedly led to another significant patent for the company, which was granted to Harry Wachenheimer and Ernest L. Davis in March 1917. This patent defined one of the ways in which the company would construct their flexible bracelets, perhaps their most well-known pieces today. Although the invention was called a Chain, the specification states that it was intended for adaptation “in the construction of bracelets, rings, necklaces, and the like.” The object of the invention was to provide a new type of construction of chain that did not require solder, that was “longitudinally flexible,” that was simple and inexpensive to manufacture, and that had a series of links that could be easily and quickly attached to or removed from the chain. Two examples of flexible bracelets corresponding to this patent are shown below. In the second photo, notice the way in which the links are attached (as shown in the bottom technical drawing of the patent) and the complexity of the clasp. This type of tongue-in-groove clasp, which was similar to the types of clasps on flexible bracelets made from precious metals and gemstones, was used by the company until at least the late 1920s. Diamonbar bracelets made with this patented construction are stamped with the date of the patent issue (in the form of 3 20 17) rather than the patent number, a practice that was not uncommon at that time. Front and back views of flexible bracelets. In 1920 Harry patented an “improved flexible bracelet”, to be constructed of a series of units which could be connected by side-bearing flanges and which would each form a “box setting for gems.” That patent is shown here. Although I cannot say when Diamonbar bracelets first entered the marketplace, I know they seemed to be the focus of the company’s output in the mid-1920s. My earliest ad is from the June 1925 issue of The Keystone (see above). The four-page, full-color spread below, which appeared in the 1926 catalog of Minneapolis wholesale jeweler S.H. Clausin & Co., shows a fabulous array of Diamonbar bracelets that were then available. The images in the catalog are all the actual size of the pieces. When you look at the ads, notice that the company name does not appear anywhere – only the Diamonbar trademark is used. As you review these catalog pages, notice the range of styles and colors (i.e., imitation – their term — gemstones) offered. Retail prices for the flexible bracelets ranged from $3.75 to $21, and $12 to $13.50 for the Lady Gloria Hinge Bracelets (bangles). To put these prices in context, you need to know that in the mid-1920s, the average U.S. household income was about $29 per week (according to “100 Years of U.S. Consumer Spending: Data for the Nation, New York City, and Boston,” U.S. Department of Labor: May 2006; www.gls.gov/opub/uscs). This photo shows three bangles with the same construction (engraving, clasp and pierced back) as the Lady Gloria Hinge Bracelets in the catalog. The narrow bangle in the photo does not bear the Diamonbar trademark. The two wide ones (one faux sapphire, the other faux amethyst) with the embellished pierced panels are a variation that appeared later. This style of bracelet was among those advertised in the January 1, 1929 issue of The Jewelers’ Circular. Based on advertisements, I believe that the Diamonbar trademark was last used in 1929. That same year, Wachenheimer Brothers launched an entirely different line – called Wachenheimer Real Stone Jewelry. These pieces, which were marked with the trademark Wachenheimer (registered in 1926), were designed to meet the demand for jewelry made with semi-precious stones, a style that had become popular as early as 1927. Following the stock market crash in 1929, when the United States entered its worst economic depression in history, the jewelry industry was especially hard hit. With their business failing, Wachenheimer Brothers dissolved the corporation on May 10, 1933. Operations must have continued for another year, as evidenced by a series of advertisements that appeared in every monthly issue of The Jewelers’ Circular from July 1933 through May 1934. Several of these ads illustrate the company’s attempt to return to their earlier product line of sterling silver flexible bracelets. These 1930s models had a simpler, fold-over style clasp, had the same construction as the first patent shown above, and were priced lower than the 1926 bracelets in the wholesaler’s catalog. Unfortunately, this strategy did not save the company. What I find particularly sad about this story is that Harry and Jacob Wachenheimer may have felt like failures because they lost their business during the Depression (as did so many of their competitors). What the brothers never foresaw was the enduring interest in their creations, which are coveted by collectors of Art Deco costume jewelry everywhere. Thanks to the company’s belief in high-quality design and construction, Harry’s inventiveness, and the talent of their workers, many Diamonbar bracelets have survived and still bring delight to those of us who are lucky to own them. Barbara Schwartz is a vintage costume jewelry retailer, stylist, writer and speaker. Her website www.trufauxjewels.com features high-quality American and European pieces produced from the 1920s-1950s. In her weekly blog (www.trufauxjewels.com/blog), Barbara provides styling tips for combining vintage costume jewelry with current fashion trends and writes about a variety of topics pertaining to jewelry and fashion history. She spoke at the CJCI Convention in 2013 and 2014, and at the Jewelry History Series at The Original Miami Antiques Show in 2015. Her article “Wachenheimer Brothers: Their True Story” was published in Adornment: The Magazine of Jewelry & Related Arts, Volume 10, No. 1, Spring 2013.